Earlier this year, I reviewed an great car mount from iBolt called the iPro2. How good is it? I still use it every day. 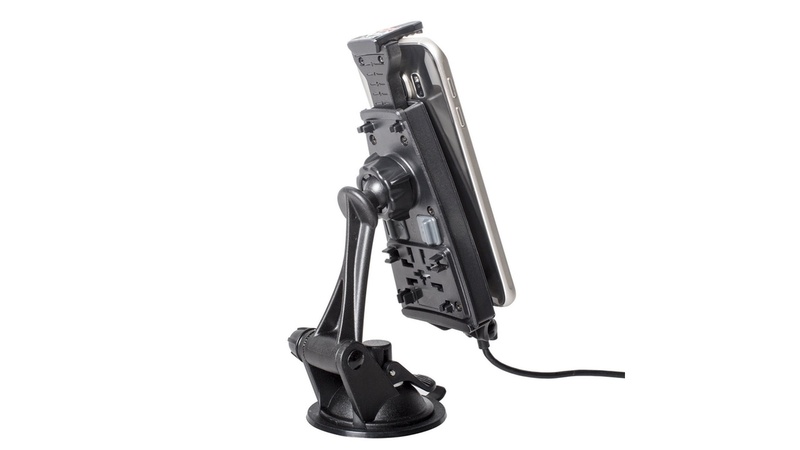 Its sturdy, well built, adjustable, and keeps my iPhone secure and easily accessible for Maps. The best part of it is that it comes with a quality MFi compliant lightning cable built it with a long enough cable for any car. It’s something I would recommend for any iPhone owner, even more so now then back in February. But what about Android or Windows Mobile users? You’ll be happy to know that iBolt has another device for you guys, the mPro NFC. The mPro is very closely related to the iPro 2. The cradle, adjustment arm, and accessories are similar, if not identical in design including the ball joint connector for the cradle. This allows for use of use and 360* operation on your dash, connected to your windshield and in landscape or portrait. Its long extension arm, optional spacer, and rear tabs allow this dock to securely fit almost any phone from small to jumbo sized. It also works with most cases. The catch is that it has to have a MicroUSB port with the long end of the port facing backward. Fortunately that includes most devices including the popular Samsung phones. The port is technically reversible, but it requires removing two small screws, turning the connector, and then replacing the screws. This won’t be something you do on the fly in your car. The Micro USB connector is connected to a 6ft cable that will give you enough lead to plug in almost anywhere. In the practical sense, its almost too long. Most other docks on the market are bring your own cable and the mPro gives you one for very little more money. 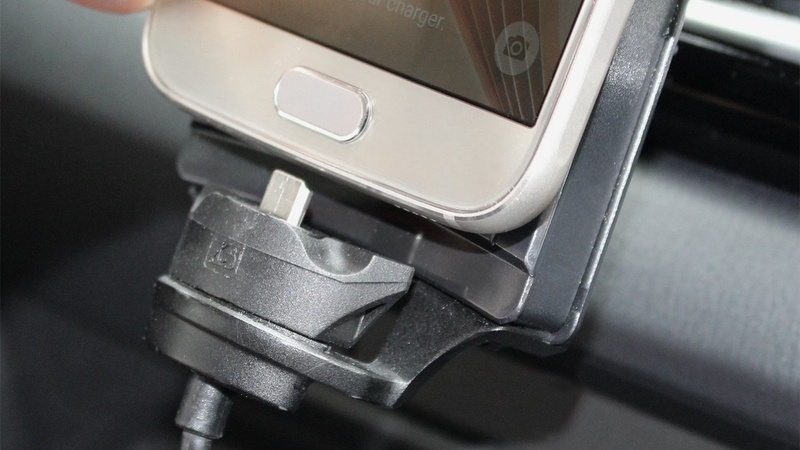 Its full charge and sync as well, so you can plug this right into your car stereo, or into your USB 12v adaptor. There is only major difference between the mPro and the the iPro 2: NFC. 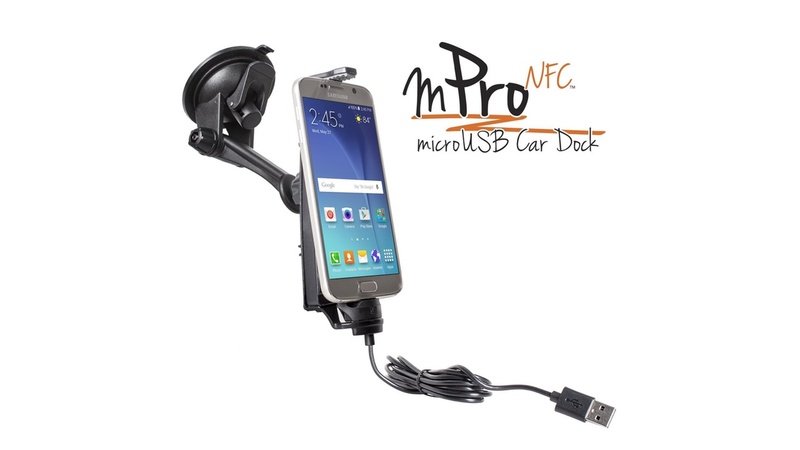 While you won’t be making any payments with this dock, the NFC tag allows you to set up the mPro to automatically launch iBolt’s Dock n’ Drive car interface app when you place your phone in the cradle. This is something I very much wish Apple will allow them to do if they ever release an API for the NFC chips in the iPhone 6 and 6S. Dock n Drive is a bit limited on iOS, but it’s a really great full featured interface on Android. It’ll show you your speed with full compass, your address, and give you full audio controls, but it also acts as a launcher for other Android apps, functions, and contacts. You get up to 30 in total. The app’s settings also also give you a lot of control over what does and doesn’t work while your driving. This helps not only keep distractions out of the way, but also keeps those with small data plans from blowing through their allotment while driving. There’s also a companion app called Dock Mode that gives you a floating icon on top of your other apps to quickly switch back to Dock N’ Drive. It also integrates well with a dash cam app, but you that might not be usable depending where your device maker put the camera. 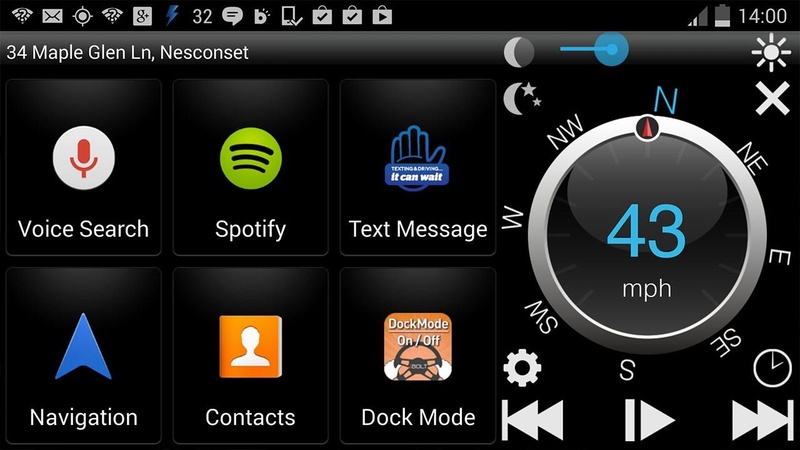 In short, Dock N’ Drive is as as good to a full screen environment while driving as you can ask for. Its optimized for the car, but gies you full control of your device. Did I mention its free. The mPro NFC is $39.99. Combined with the free app and integrated 6ft MicroUSB cable, that’s a price you should gladly pay. If I had to have one car dock for an Android phone, this would be it. It takes everything that was great about the iPro2, customizes it for Android, and adds in NFC and a more useful app to boot. Why are you even reading this? Just buy the damn thing. The only reason you might not want this is if you have a newer phone with USB Type-C and hopefully iBolt will do something there as well.